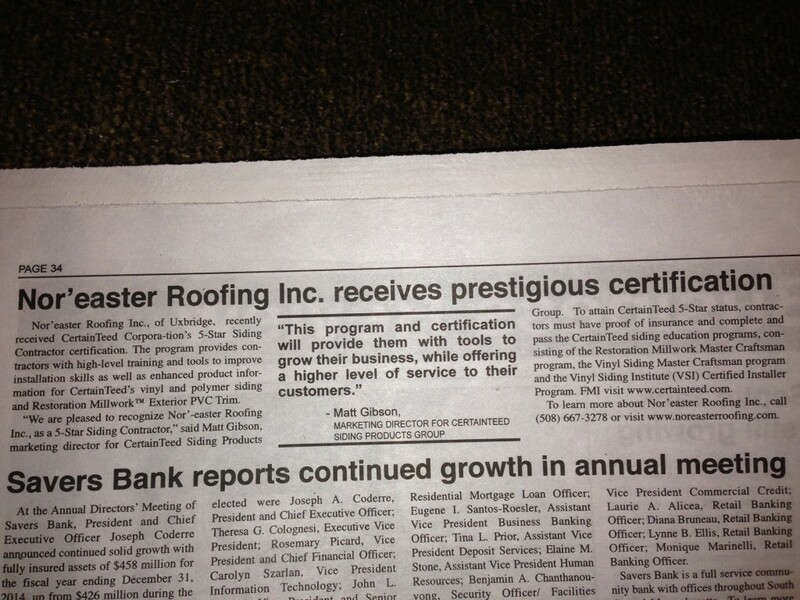 Roofing Company Receives Siding Contractor Certification | Nor'easter Roofing Inc. Recently, Nor’easter Contractors Inc, received CertainTeed’s 5-Star Siding Contractor certification. This program provided Nor’easter’s contractors with advanced training & tools to improve installation skills. These installation skills help roofing & window contractors to build lasting success with their business.